Tim Wu, the Colombia University law professor and anti-trust/competition expert who coined the term "Net Neutrality," has published an open letter to Tim Berners-Lee, the creator of the web and director of the World Wide Web Consortium (W3C). 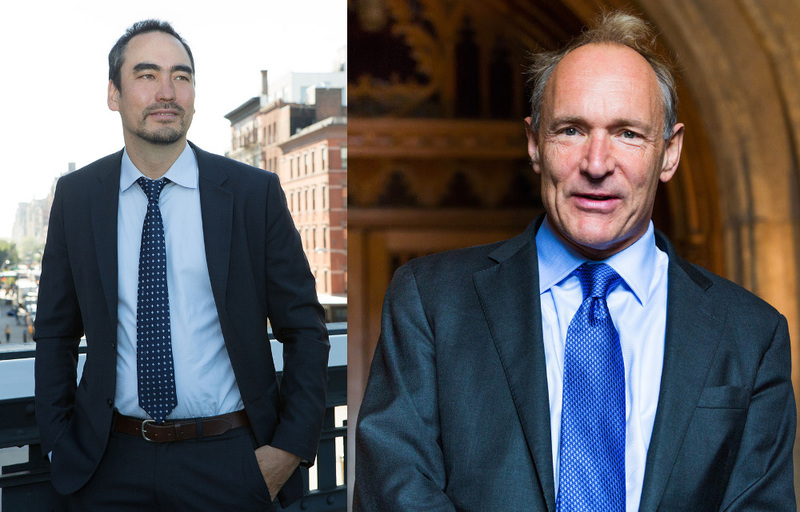 Wu wrote to Berners-Lee to thank him for his yeoman duty in fighting for net neutrality -- a live issue that has acquired a new and regrettable urgency thanks to the Dingo Babysitter that Trump put in charge of the FCC. But Wu goes on to draw a connection between the problems of DRM and the problems of network discrimination: DRM is wrapped up in a layer of legal entanglements (notably section 1201 of America's Digital Millennium Copyright Act), which allow similar kinds of anticompetitive and ugly practices that make net neutrality so important. This is a live issue, too, because the W3C just held the most contentious vote in its decades-long history, on whether to publish a DRM standard for the web without any of the proposed legal protections for companies that create the kinds of competing products and services that the law permits, except when DRM is involved. As Wu points out, this sets up a situation where the incumbents get to create monopolies that produce the same problems for the open web that network neutrality advocates -- like Berners-Lee -- worry about. It's impossible to overstate Wu's standing and credibility in the area of network neutrality and anti-competitive conduct -- as someone who's played a role as both scholar and regulator, he understands the issues from many sides. The decision on whether to allow the W3C's large corporate members to use its process to acquire new, dangerously anticompetitive tools is in Berners-Lee's hands. Let's hope he make the right call -- for all our sakes. and welcome support for net neutrality, to comment on one particular aspect of the ongoing EME debate. I wanted to write to you and respectfully ask you to seriously consider extending a protective covenant to legitimate circumventers who have cause to bypass EME, should it emerge as a W3C standard. My reasoning is as follows. I read your thoughtful blog post written in February of this year, and I agree that the challenge here is not an easy one. DRM is out of sync with the way the web is, but will nonetheless be relied upon by many content providers no matter what the web does. And as you put, “it is good for the web to be able to include movies, and so for that, it is better for HTML5 to have EME than to not have it.” And EME does ease the burdens of today's browser vendors and media companies if they want ensure that their products and services interoperate. But my concern is different than some of those I’ve been reading about. I think more thinking need be done about EME’s potential consequences for competition, both as between browsers, the major applications, and in ways unexpected. Control of chokepoints has always and will always be a fundamental challenge facing the Internet as we both know. That’s the principal concern of net neutrality, and has been a concern when it comes to browsers and their associated standards. It is not hard to recall how close Microsoft came, in the late 1990s and early 2000s, to gaining de facto control over the future of the web (and, frankly, the future) in its effort to gain an unsupervised monopoly over the browser market. EME, of course, brings the anti-circumvention laws into play, and as you may know anti-circumvention laws have a history of being used for purposes different than the original intent (i.e., protecting content). For example, soon after it was released, the U.S. anti-circumvention law was quickly by manufacturers of inkjet printers and garage-door openers to try and block out aftermarket competitors (generic ink, and generic remote controls). The question is whether the W3C standard with an embedded DRM standard, EME, becomes a tool for suppressing competition in ways not expected. Here’s an example. Let’s say a teacher or book publisher depends on accessing public domain materials, such as are widely available on the web, but for whatever reason those materials are being locked, by default, by EME -- so that the freedoms even afforded by copyright become unavailable, including use of public domain works or fair use. My larger point is that I think the history of the anti-circumvention laws suggests is hard to predict how – no one quite predicted the inkjet market would be affected. But given the power of those laws, the potential for anti-competitive consequences certainly exists.